A time to work, a time to play and a time to REST! I am sending you this greeting from a TIME OF REST in the breathtaking wonder of new England. Oh my. It has always been a dream of mine to visit New England in the Fall and this year God said YES! I have never been this way at all, much less in the Fall! As God would have it, two awesome speaking opportunities converged together and brought me north just in time for some red, gold and yellow hillside displays. I am so very grateful! The change of seasons are every where we turn! As a rule, I LOVE change. 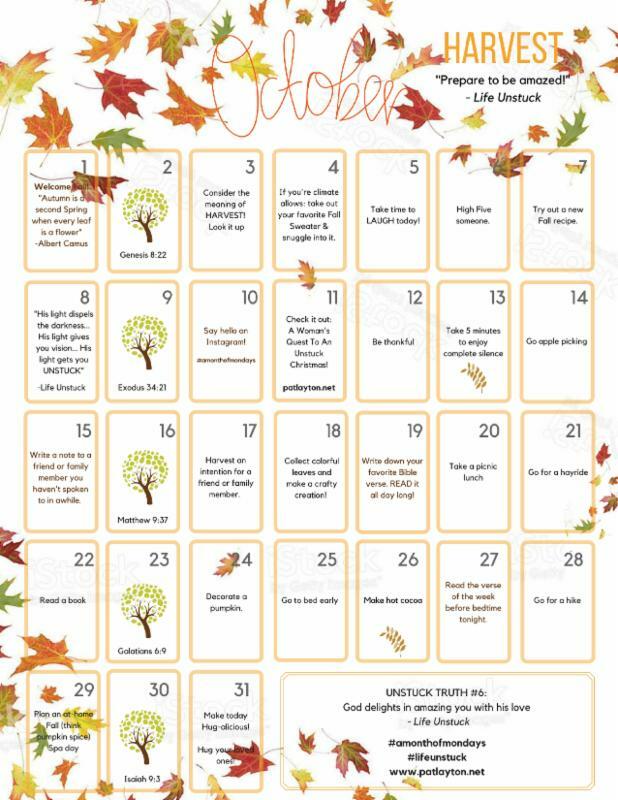 If you subscribe to my newsletter you know that HARVEST is the theme of my October A Refreshing Pause newsletter and our beautiful calendar. Click this link to get signed up for next month’s FREE CALENDAR and lots of COOL November goodies! So–I am RESTING in the cool air of the North East and had every intention of blogging my travels to share with you. HOWEVER–when I packed my bags for this amazing trip–I forgot my computer charging cord. I guess when God was setting me up for REST—He meant REST!! Right?! I can however–take LOTS OF PICTURES! Please watch my photo journal via Instagram and Facebook! I love sharing my faith journey and hearing yours. Listen friend, social media has a way of setting us up for discontentment, envy and thinking that someone else has the life we wish we had. Trust me. It happens to me all the time! REST in such beautiful places is not my everyday life. I am very aware that REST looks different in different seasons and for different reasons. I have had many MANY- CHANGES OF SEASON that resulted in more falling tears than falling leaves. In fact on this very day last year, October 16th, I was grieving the loss of my precious Mamma. It was a very difficult season of CHANGE to say the least. One I am still grieving in the middle of this awesome beauty. Please, take a minute to tell me—what is your HARVEST season looking like right now? How can I pray for you while I am in this place of pondering, prayer and rest? I’ll see you back here in a few weeks with some FABULOUS CHRISTMAS PLANS! I hope you will get your book soon! My supply is almost gone! 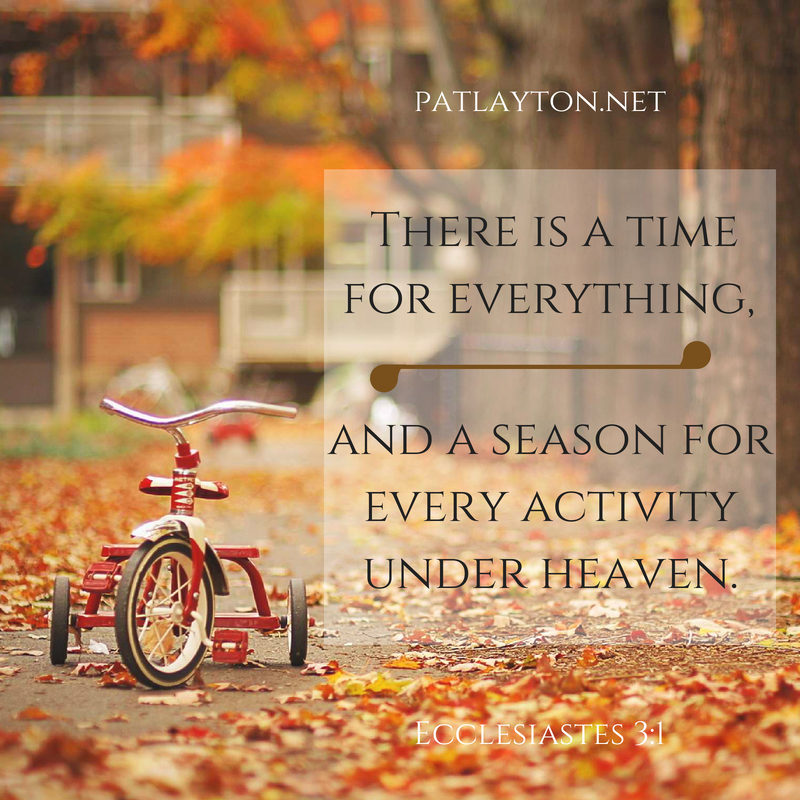 Previous Post: « Mentoring For All Seasons!